Why Doesn’t Russia Support China in the South China Sea? Strategic and political factors keep Moscow from backing Beijing on the South China Sea disputes. Recently, tensions over maritime disputes in the South China Sea seem to have surpassed even those caused by the Senkaku/Diaoyu Islands. China and Vietnam are embroiled in their worst political conflict in decades over an oil drilling platform near the Paracel Islands. The resulting anti-China protests in Vietnam brought China-Vietnam relations to a temporary halt. In addition, the Philippines’ detention of Chinese fishermen has increased the discord between China and the Philippines. With all these frictions occurring at the same time, the situation in the South China Sea has suddenly become very serious. Against this background, we have seen the U.S. criticize China, express support for Vietnam, and shield the Philippine military. But we have not heard Russia, China’s “strategic partner,” take a stand on the South China Sea disputes, much less publicly support China’s position. This has upset some people in China, who now think that China-Russia relations aren’t as good as previously imagined. Even on the Senkaku/Diaoyu dispute between China and Japan, Russia has kept an ambiguous position. 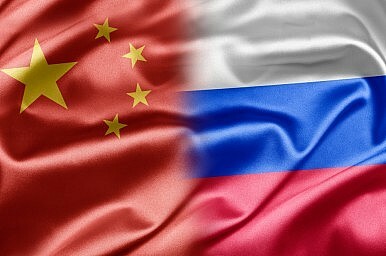 In my eyes, however, this does not mean that Russia’s is of two minds in its relationship with China. Instead, there are complicated political and strategic factors, including four main reasons I will list below. First, the China-Russia relationship is different from U.S.-Philippines relations. China and Russia are not allies. There is no alliance treaty between them, while there are security treaties between the U.S. and the Philippines as well as between the U.S. and Japan. In an alliance relationship, each side has treaty obligations to provide political and even military support to its partner. In international relations, this is the highest-level type of bilateral relationship. While the China-Russia relationship has some characteristics of a comprehensive strategic partnership, the two parties are not bound by treaty obligations to strive for each other’s international space and national interests. For a long time, China’s state media has been emphasizing and promoting the positive factors in China-Russia relations, while overseas media also often over-praise this relationship. Sometimes media outlets even posit that China and Russia are “allies” without an alliance treaty. This has led many people to believe that China-Russia political cooperation is boundless, causing a great improvement to China’s security situation. But the facts of international relations tell us that no matter how good the China-Russia relationship is, it won’t influence China’s basic policy in the South and East China Seas. The fact is that China-Russia relations are fundamentally based on mutual interests. The South China Sea is not a place where Russia can expand its interests, nor is it necessary for Russia to interfere in this region absent a formal alliance with China. Chinese people cannot misinterpret the character of China-Russia relations and expect too much from Russia. Second, Russia enjoys good relations with countries bordering the South China Sea and does not need to offend Southeast Asia for the sake of China. As noted above, Russia is not enthusiastic about publicly backing China on the South China Sea issue. One of the most important reasons for this is that Russia enjoys good relations with many of the Southeast Asian countries. For example, Russia’s predecessor, the Soviet Union, was historically even closer to Vietnam than it was to China. Because of the USSR’s strong support, Vietnam was able to fight off the United States. Afterward, Vietnam began to undertake anti-China activities, again with Soviet backing. After the collapse of the USSR, Russia inherited this extraordinary friendship. There are no major obstacles to the development of the Russia-Vietnam relationship — there are no serious disputes or conflicts on either the historical or the practical level. And there is one particular area of cooperation between the two countries: defense, where cooperation has stretched from World War II to today. Many of Vietnam’s weapons come from Russia, such as the Kilo-class diesel submarines fueling the growth of Vietnam’s navy. In addition, in the second half of 2014 Russia will deliver four Su-30MK2 fighters to Vietnam, which could potentially become weapons in a future China-Vietnam confrontation. Russia also enjoys a good relationship with the Philippines. For example, two years ago, three Russian navy vessels (including the anti-submarine destroyer Admiral Panteleyev) arrived in Manila for a three-day port visit. According to Russia, this visit helped improve Russia-Philippine ties. Third, it’s unnecessary for Russia to seek out a direct confrontation with the U.S. over the South China Sea. Currently Russia’s focus is on Europe, especially the Ukraine crisis that has already solidified the confrontation between Russia and the West. Such a problem will be difficult to solve in the short term. Given this, Russia has neither the desire nor the ability to confront the U.S. in the South China Sea. Besides, the South China Sea disputes are not really conflicts between China and the United States. The disputes stem from disagreements between the South China Sea border countries about the history and the status quo of maritime rights. The U.S. is only an influencing factor, not a determining factor that will determine the future of the situation. In this context, as an outsider and bystander, Russia has even less of a motivation to support China and criticize the U.S. There is no need for China to feel doubtful and disappointed about Russia’s stance on the South China Sea disputes. Dozens of years of sounding each other out has formed the foundation for tacit agreements and mutual understanding in the China-Russia relationship. For example, on the issue Russia currently takes most seriously, the Crimea question, China refrained from publicly supporting Russia, choosing instead to abstain from the U.N. Security Council vote. However, this doesn’t mean that China opposes Russia’s position. By the same logic, Russia’s neutral stance in the South China Sea disputes doesn’t mean that Russia doesn’t support China. Russia has its own ways of supporting China, such as the recent China-Russia joint military exercises in the East China Sea. This display of deterrence caused envy and suspicion in the West. China and Russia leave each other ample room for ambiguous policies, which is actually proof of an increasingly deep partnership. This arrangement gives both China and Russia the maneuvering space they need to maximize their national interests. The two countries have started coordinating moves in the region, but Russia remains silent on the South China Sea.